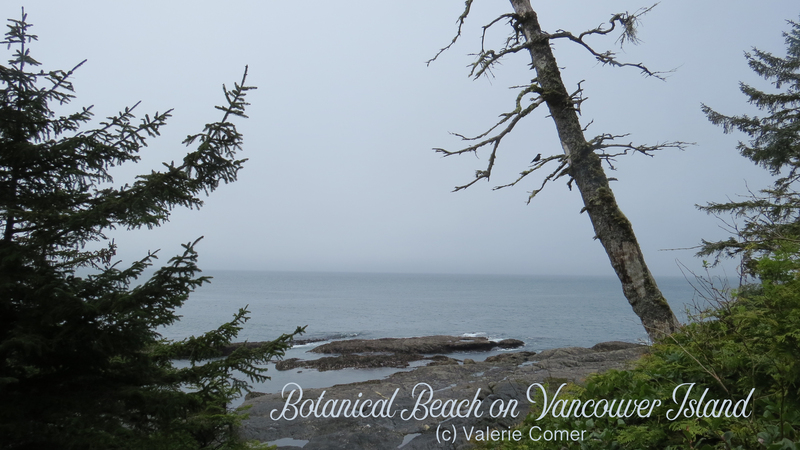 After last week’s trip down Memory Lane for Father’s Day, let’s head back to Vancouver Island and one of my favorite beaches on the southwest “corner” of the island, Botanical Beach near Port Renfrew. it’s not a sandy beach. Rather, it’s made of giant slabs of rock that only appear at low tide, so we timed our trek with that in mind. If you recall the photos of the sea otter I shared a couple of weeks ago, this is the place where we saw him, just between the shore and the rocks out in the water. Liwen Y Ho’s winners are Tammy Francis and Pat! 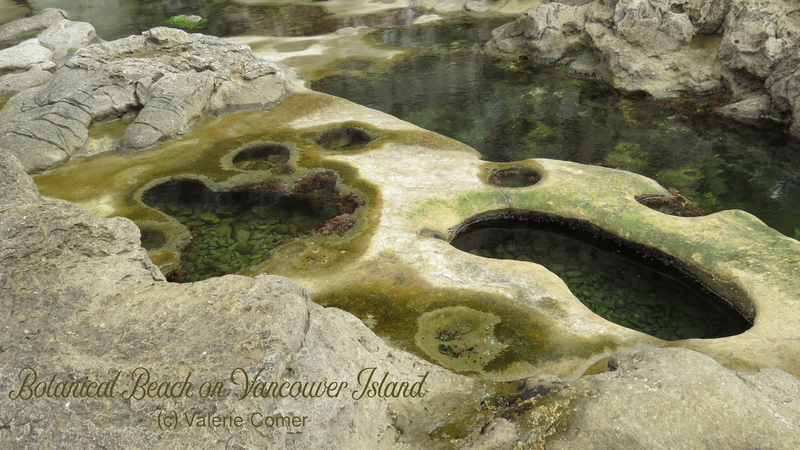 The holes in the rocks filled with sea life (like crabs and anemones) are endlessly fascinating. On Monday, Staci Stallings reminded us to abide in Him. On Tuesday, Lee Tobin McClain told us how writers vacation! 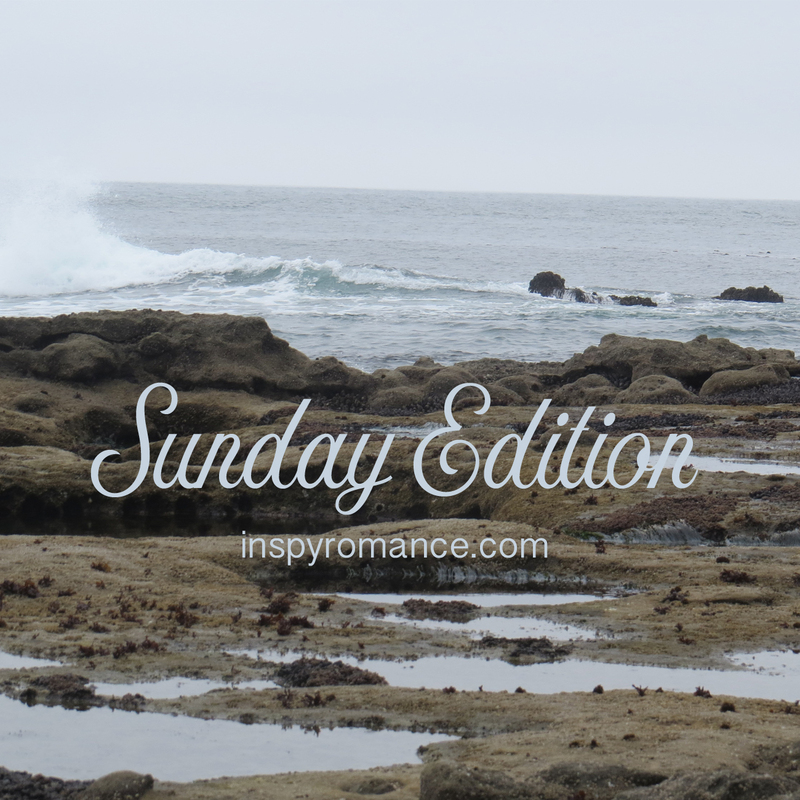 On Thursday, Shannon Taylor Vannatter offered a roundup of blogs, Inspy Romance style. On Friday, Carol Moncado told us her trip to New York was research – honest! On Saturday, Melanie D Snitker shared 18 years and 8 reminders. See the giant burl on that cedar tree? That’s my hubby standing next to the tree, just to give you some perspective! Ha, I don’t think I saw your husband by the gnarliest tree when I first saw it on FB, Valerie! He was wearing camo LOL! At least for that particular tree! We spent the day cross country skiing- it was very icy which made it more challenging, but we had a great time, and two very tired boys!! Sounds lovely. We did a lot of cross-country skiing when our kids were young. Since then we’ve switched to snowshoeing… when one of us isn’t needing/recovering from knee surgery (hubby, last winter) or a heart attack (me, this winter). I had to look closely to find your husband by that HUGE tree. You called it a cedar tree? Is that the same kind of cedar tree we used for Christmas trees when I was a kid?? 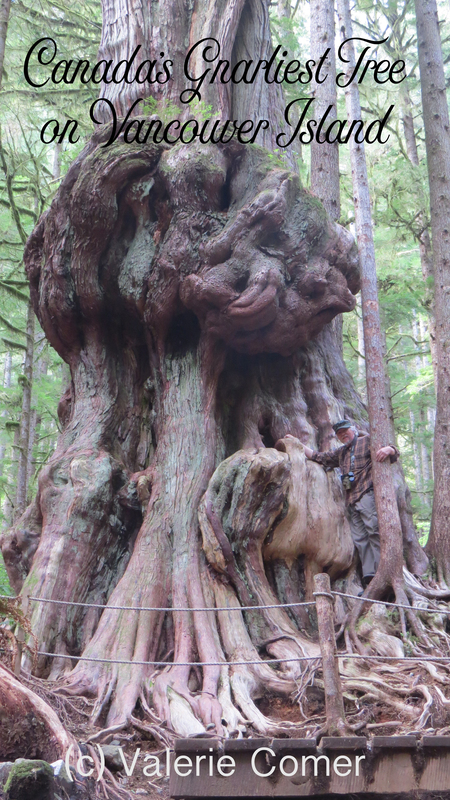 Western Red Cedar – not likely what you had as a Christmas tree, no! Hi Valerie! Beautiful, inspiring pictures of God’s wonderful creation. Took me a minute to see your husband next to the gnarly tree. The ocean shores are very different from Lake Michigan sandy beaches. Thanks for sharing. Best wishes and happy writing. I’ve been to Lake Michigan several times (my sis lives in Racine), and yes, it’s very different! The Great Lakes are pretty amazing too. I’d be happy to host you anytime! Love the pics! I had to expand that tree photo a bunch to find Jim, WOW!! Good morning on this bright and beautiful day in Central Texas. Oh, Valerie, what beautiful pictures. I would love to go there some day. I never thought about the rocky areas of beaches. I can see how it would be a place of Gods creatures and His beautiful hands at work. I will always have a different prospect of the beach now. Thank you for sharing and have a wonderful and blessed day, know matter the weather, Gods creations are always a wonder to behold. I’m so glad you’re enjoying the ocean visit via the blog! Wow, what a tree! And what a hub to pose for you like that….LOL. LOL I take a lot of photos. He’s used to it! Also, you pretty much need a person in there to appreciate the size of the burl. That cedar tree is something else! We live near the big coast redwoods, but that cedar gives them some competition! Thanks for sharing gorgeous photos. I love the ocean! That tree and burl are incredible. It took me a while to find your husband. Looks like a really fun trek. Cool pics.